1. Who do you want to coach? 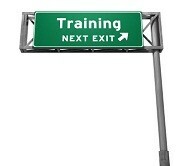 The most important question in choosing a training program is knowing who your target audience is. It does make a difference: some schools focus on training coaches to work with business leaders, others focus on therapists who want to add coaching to their practices, while still others focus on career coaching, ministry coaching or other specialties. A school in your target area will train you using the tools and lingo you’ll actually coach with. Completing a school in a different specialty area may give you a great education in the basics but may leave you wanting in the area of tools and applications for your target market. 2. What learning style suits you best? There are a variety of training methods used by the different coaching schools, and each has advantages and disadvantages. Academic programs give you a two-fer with an advanced degree, but you may need to jump through hoops (lots of reading, writing papers, etc.) that are not really building your core skills. Skills develop quickest in workshops, because they allow for live practice with feedback. But unless they are hosted where you live, travel time and costs can be a barrier. You can join a tele-class from anywhere, so these programs are tops in convenience. However, dozens of people on one phone line is not an optimal learning environment (look for a cohort of under 20 — 10 is great), and some people struggle with the lack of personal contact (or the temptation to multi-task during calls)! Programs with structured peer relationships give you a great place to practice–if they have a good system and a way to assign compatible partners. And one-to-one is a great way to learn–just make sure you get an experienced trainer and the cost isn’t out of sight. Which structure sounds best for you? 3. What kind of credential do you need for your target audience? To this point, the standard bearer for credentialing is the International Coach Federation. But at the risk of being labeled a heretic, there are other choices. In corporate settings, an ICF credential is a must. However, a graduate degree program may be a better choice for coaching in academia. If you coach mainly in the ministry world, as I do, having an ICF credential is far down on the list of what people look for in a coach– it has been years since anyone asked me about it. It may also be that a certification in your key tools (like Strengths Finder™ or Myers Briggs) will carry more weight than your coaching credential. This is not to say you shouldn’t go through a rigorous training program. Anyone who wants to coach for a living should be certified. Just think through what you really need before you choose. 4. Do you share their values? A coaching school is going to operate out of and train you in a fundamental set of values for how to influence people. I’ve talked to a lot of coaches who were very dissatisfied with the values conveyed in the training. Some eventually went to a second or even a third school in the search for one that was compatible with their worldview, principles or spiritual values. Make sure you understand what values the school conveys before you sign on. If you save a few thousand on your coach training, but because of it blow two years trying to start an unsuccessful business, you’re being penny-wise and pound-foolish. Think through how much of your success will depend on your training, and how much you are really putting at risk, before you make price your number one criteria. Tony Stoltzfus is an author, leadership coach and master coach trainer. For more information on this subject check out Tony’s best-selling coaching book, Coaching Questions.